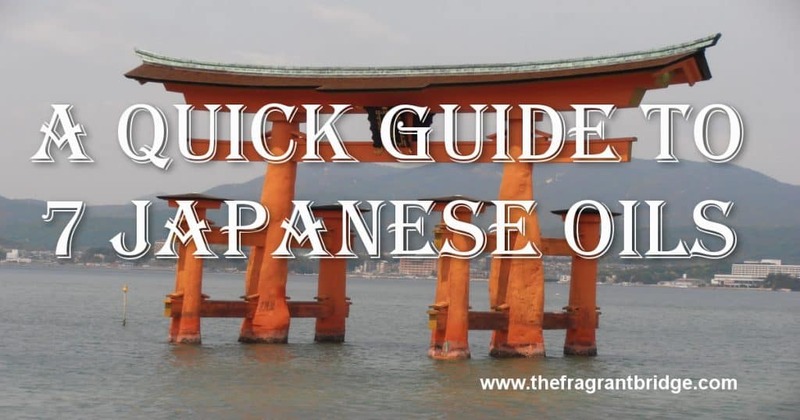 I spent a few years living and working in Tokyo, Japan but I didn’t come to appreciate Japanese essential oils until after I had studied aromatherapy and visited Japan again. Each time I visit I bring back at least two oils. Below are 7 Japanese oils I have found beneficial in my practice and in my reiki blends. Yuzu is my favourite Japanese essential oil and is available outside Japan. I remember my excitement on first seeing a yuzu tree. I had been using the oil for a while but had never seen the tree from which the oil came. 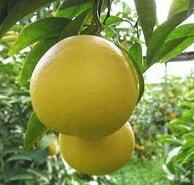 Yuzu is extracted from the peel and is usually cold pressed but there is also steam distilled one. She has a very fresh, fruity and citrus aroma. The yellow fruit is well known in Japan and in winter the peel and sometimes the whole fruit is cut in halves and put in the bath to help prevent colds. She is antiviral, antibacterial and stimulates the immune system so this makes sense. 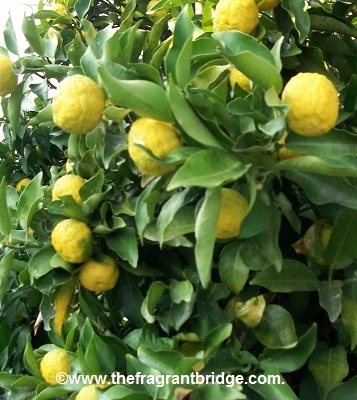 Yuzu is a very uplifting oil and useful for anxiety, depression, frustration, regret and nervousness. She helps to calm the mind and bring a sense of peace. She is an expensive oil but well worth having. 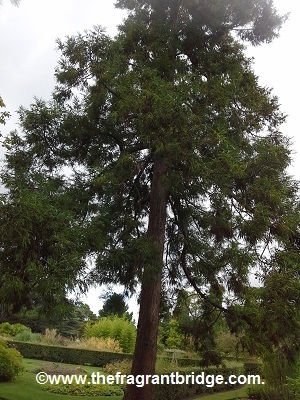 Hinoki a Japanese cypress native to central Japan is a slow growing tree that can reach 35 metres in height. The wood is used to build temples, shrines, palaces and baths. She has traditionally been used in purification rituals in Shinto religious ceremonies. Hinoki was used to build the Ise Shrine, considered Japan’s most sacred Shinto shrine. The essential oil is steam distilled from the dark red brown wood and has a distinctly woody aroma. Emotionally and spiritually hinoki is useful for stress helping to ground you rather than allowing the stressful situation to overwhelm you. She is also useful for purifying the atmosphere and your aura. Physically she is used for sinus, respiratory and minor skin conditions because of her antibacterial, antiviral and antifungal properties. 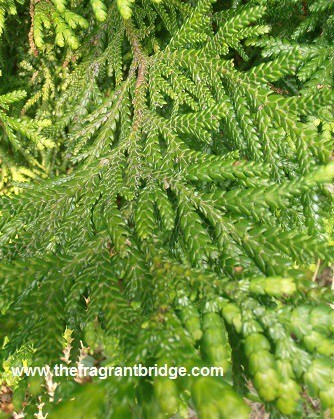 I have used hinoki in the Reiki Journey blend for her connection to the sacred temples of Japan and her purifying and grounding properties allowing the practitioner to stay grounded in their space while allowing the reiki energy to flow through them and do its healing work. Hiba, a member of the cypress family, is another wood that has long been used in Japan for building houses, temples and pagodas, perhaps because of her ability to repel termites, cockroaches and fleas. You will often see the trees growing around temples. The essential oil is steam distilled from wood chips and is a pale yellow in colour. Emotionally she is very helpful for stress, relaxing both the mind and body while physically she is a good oil to use for eczema. 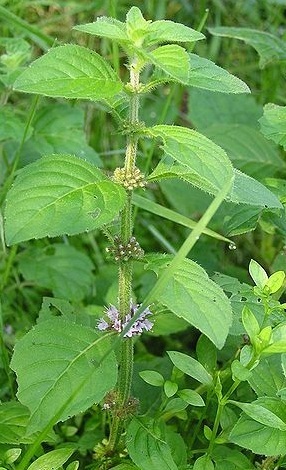 Hakka is Japanese peppermint which has 1.5 times more menthol than peppermint. She is used to help during a spiritual crisis by reconnecting you to your purpose and clearing away the confusion. She also has the ability on an energetic level to help you digest and assimilate new thoughts and beliefs. She is uplifting and stimulating helping to combat mental fatigue. 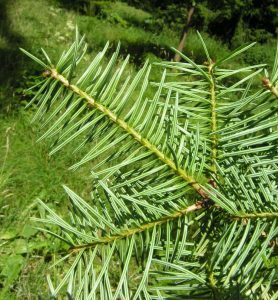 Hokkaido Momi is an evergreen fir that grows to about 30 metres and is found in northern Hokkaido as well as on Sakhalin Island. 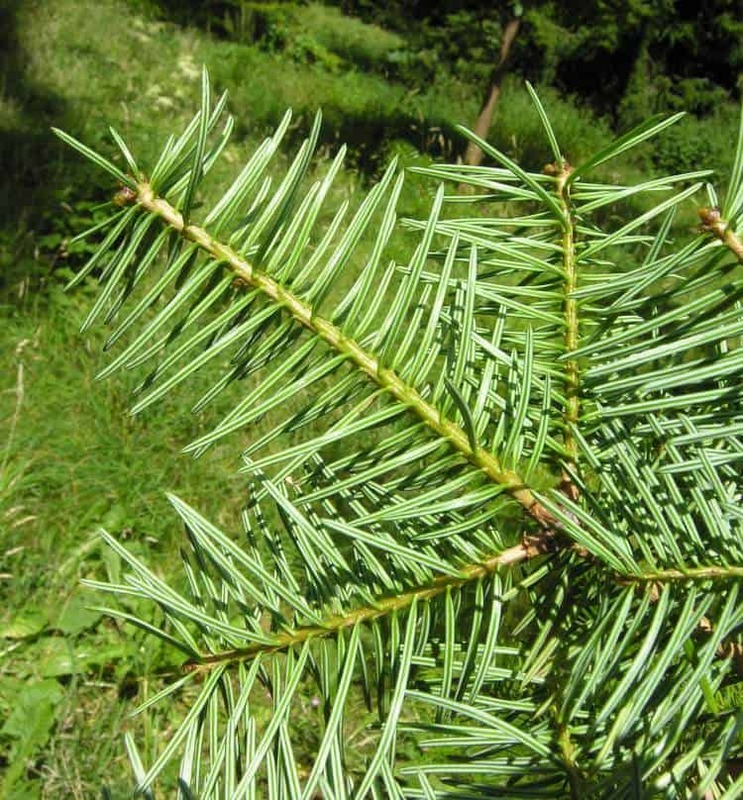 The essential oil is steam distilled from the leaves and branches. This process can take 5 to 6 hours. Physically she is used for respiratory conditions. Emotionally and spiritually she is used for stress, anxiety and to relieve mental fatigue. She clears the mind and aura so you can differentiate between truth and illusion. She is also seen as a symbol of vital power because the leaves can be seen even when they are covered by snow in winter. Tosa Konatsu is another of my favourite Japanese essential oils. Natsu means summer and the aroma always reminds me of summer even in the depths of winter. Tosa Konatsu is only grown in Japan commercially and is thought to be a hybrid between yuzu and pomelo (also known as Chinese grapefruit). The fruit is round to slightly oblong and is a light yellow when ripe. It tastes sweet with a slightly sour note. Tosa Konatsu is considered a refreshing dessert on a hot summer’s day. Some Japanese also put slices of Tosa Konatsu in the bath to help cool them down during the heat of summer. 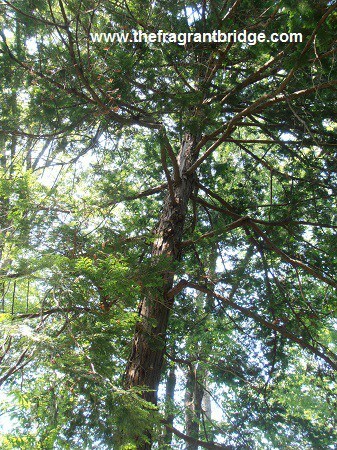 Sugi is often called Japanese cedar in English but sugi belongs to the Cupressaceae family while cedarwood belongs to the Pinaceae family. Her aroma is also very different to cedarwood. Sugi the national tree of Japan is very tall, up to 70 metres, and is often found in forests near temples and shrines. Some of the trees are hundreds of years old. There is both a wood and a leaf essential oil available. The leaf is useful for emotional and respiratory issues while the wood is more grounding. Sugi reminds you that the soul lives on long after the body has ceased to exist. 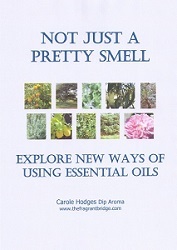 This entry was posted in Essential Oils and tagged hakka, hiba, hinoki, hokkaido momi, japanese essential oils, sugi, tosa konatsu, yuzu on February 15, 2017 by Carole Hodges. February 14th is Valentine’s Day when many couples plan some special time together. In the leadup to Valentine’s Day it’s hard to go anywhere without seeing shop windows with some sort of Valentine’s Day advertising or hearing lovers discuss the gift they got or what they will be doing. If you have recently been through a break up or have lost someone dear to you this can be a trying time as you go through the various feelings associated with losing someone you love or loved. Rather than ignoring or suppressing these feelings use these essential oils to help you as you process your emotions so you can move on ready to love again. 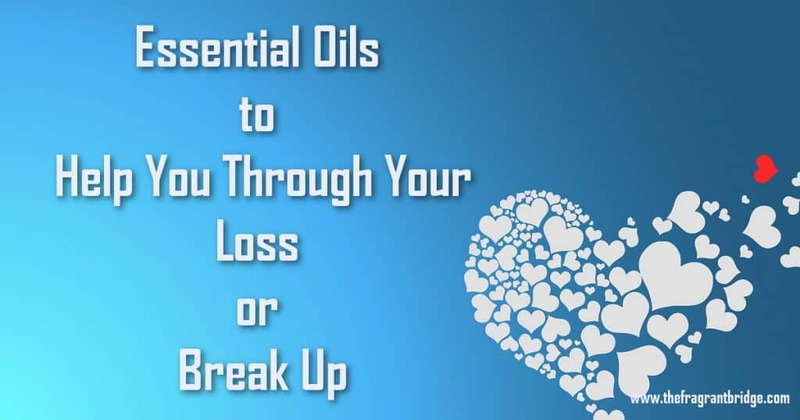 The following oils can help you to release the emotional trauma of your break up or loss. Use them in a relaxing bath, as a perfume, in a massage blend or in a vaporiser. Although you may feel that you are suffering from all the emotions below limit your blend to 3 oils. For massage use no more than 10 drops of combined essential oils in 20mls of cold pressed vegetable oil. 6 drops is sufficient in a bath but don’t use clove or thyme in the bath. ANGER – Bergamot, lavender, lemon, lime, neroli, petitgrain, ylang ylang. ANXIETY – Geranium, grapefruit, jasmine, lavender, marjoram, spikenard, thyme. CONFUSION – Clary sage, eucalyptus, geranium, grapefruit, lemon, lemongrass. DEPRESSION – Bergamot, clary sage, jasmine, mandarin, neroli, petitgrain, teatree. GRIEF – Bergamot, roman chamomile, clary sage, lavender, myrrh, rose, spikenard. JOY – Bergamot, juniper, mandarin. MOVING ON – Clove, cypress. 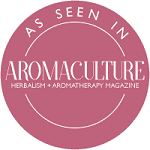 OBSESSIVENESS – Marjoram, myrrh, sandalwood. This entry was posted in Essential Oils and tagged breakup, loss, valentine's day on February 1, 2017 by Carole Hodges.